The Stronghold remix release, featuring remixes by Addex and Kerry Leva, is OUT NOW in all available stores! Also supported by: Gorm Sorensen, Tim Benjamin, Michael A, Eve Falcon, Madloch, Slang, David Granha, Deersky, Tash, Aeron Aether, Che Armstrong, Erich von Kollar, Abdomen Burst, Lonya, TR20, Ruben de Ronde, Tane3dots, Namatjira, Tuxedo, Pena, PQM, Max Flyant, EDU, Nikko.Z, Verve, Matt Rowan, Jaytech, Vinayak^a, Rich Curtis, Luke Porter, Khen, Luis Bondio, Sonic Union, Dale Middleton, Paul Hazendonk and many more. Maintaining a “Stronghold” over the underground dance scene, Tim Brandwijk’s Embliss production guise has presented a hallmark of quality since a 2007 debut. Friend and vital cog within the finely tuned Proton machinery, Embliss’ April 2013 EP was a highlight in the year’s release schedule as “Stronghold (Remixed)” now graces the Proton Music portfolio with contributions from the USA and Romania. From the city of angels, Los Angeles resident, Kerry Leva, has been a revelation since bursting onto the progressive scene in 2009. An accomplished pianist and songwriter from an early age, a course in Music Synthesis at the Berklee College of Music thrust a rapidly developing producer into the limelight, as subsequent vocal collaborations with the likes of Matt Lange, Andrew Bayer and Ad Brown immediately opened a door into the world of dance floor success. Not solely content with contributing her considerable vocal talents, Leva’s own production credentials have shone brightly since 2012 with a host of remixes and original works signed to Anjunadeep, Enhanced and Black Hole. Recent work for Nuevadeep has developed a deeper side to Leva’s production character as both “You Lied” and “This Isn’t Right” have gone on to receive remix treatments from superstars Him_Self_Her and newcomer, Kiwamu. Debuting on Proton Music, Kerry Leva’s remix is full of the trademark production qualities that have made the American such a sought after artist. Subtle piano melodies, rich in harmonic resonance, drift atop a rolling percussive groove that shifts in urgency as hi-hats and shakers adorn the four-to-the-floor anchor. Carefully teasing out vocal sentiments from Embliss’ original work, an additional sparkling arpeggio and deep sustained bass create a work of supreme skill and sensitivity. Whether creating ambient, lounge, dub or deep house through a wide range of production guises, Romanian, Addex, is no stranger to the underground music scene. Schooled in the art of appreciation by such artists as Depeche Mode, Royksopp and Faithless, Addex’s desire to see his craft delivered to an expectant audience, has seen over 400 production credits appear next to his name, featuring on such luminary imprints as Acryl Music, Etoka and Solid Fabric Industries. A veritable feast of original music to his name including several full-length albums, support from Evren Ulusoy, Matt Darey and Terry Lee Brown Jr. has seen Addex’s work heard across the globe. Long-time Proton friend, a host of original and remix work for the Apollo label – including 2012’s sublime “Killing Krazy” EP – has been supplemented by a pair of remixes of Juan Deminicis and Colourblock for Proton Music, while the “Limitation” show on Proton Radio continues to grow from strength to strength. Returning to Proton for a third remix, Addex’s interpretation of “Stronghold” sees a closer symmetry to the original as Embliss’ bass groove flows throughout in all its glory. Melodic motifs tempered slightly, Addex’s penchant for deep house flavours are immediately evident as effortless percussive flair underpins the rich reverbs and delays that develop seductively across a rich rhythmic landscape. 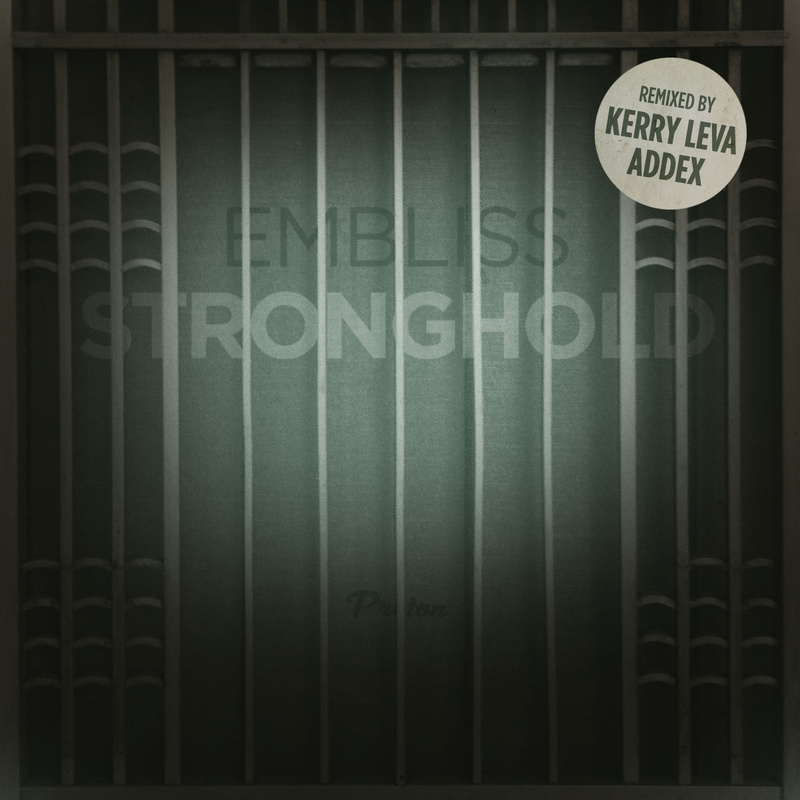 Further remix treatments from Kerry Leva and Addex has ensured that Embliss still retains a vital “Stronghold” in the dance floor community.